To learn bagua zhang there are many schools of thought. 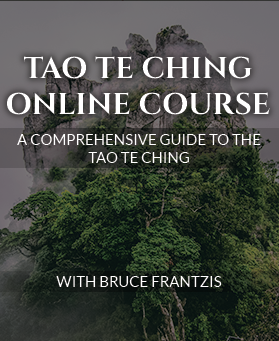 Bruce Frantzis’s teacher, Grandmaster Liu Hung Chieh, was fortunate to study bagua with disciples of both the martial art tradition of Tung Hai Chuan (who popularized bagua zhang) and the Taoist monastic tradition, which is virtually unknown in the West. During his teens and twenties in Beijing, Liu studied with many of Tung’s students and grandstudents. Liu teachings emphasized the monastic tradition that emphasizes the Bagua Single Palm Change, where mastering this one palm change is all that is necessary to explore the I Ching’s eight trigram energies of change. In traditional bagua schools, students would spend the first six months learning to walk in a line using bagua three-part, four-part and two-part stepping methods. Energy Arts teaches a highly detailed progression of this system called the Bagua Dynamic Stepping System,™ which includes heel-toe stepping and traditional Chinese mud walking. It is important to spend a lot of time drilling the fundamentals of walking because it is the foundation from which all bagua movements are derived. In addition, Energy Arts teaches the Bagua Internal Warm-up Method,™ a progression of eight exercises that prepare the body for Bagua Circle Walking. These warm-ups enable you to jump start your practice and make the most out of your practice time. In Stage 2, you take the Bagua Stepping Techniques you learned in straight-line walking and put them into Circle Walking. Bagua’s defining characteristic is its core training method of Circle Walking. This holds equally true for bagua’s martial, energetic and meditation aspects. You learn precise footwork methods for walking in circles in opposite directions. During Bagua Circle Walking practices, you walk around and around in a circle, regularly alternating direction between clockwise and counter-clockwise directions. More advanced practitioners use various kinds of regular and specialized steps while simultaneously executing spiraling arm and waist movements. This creates a vortex in the earth and into the practitioner’s body. 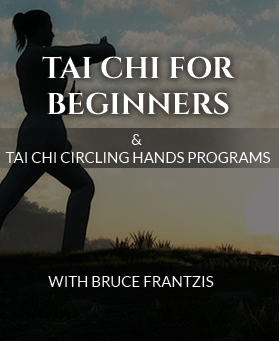 Eventually, as you move into Stage 3 and Walk the Circle, you start to hold your hands in various bagua arm postures. These are are similar to, but not the same as, some of the postures used in tai chi chuan (taiji) and the standing postures in I Chuan. Holding postures while Walking the Circle is the basic method of power training in bagua zhang. There are over 200 qigong postures that can accompany bagua zhang practice. Each posture channels and opens your body in specific ways. Traditionally, a master would work with each student individually, prescribing what they needed at any given moment in time to advance their bagua zhang practice. Bruce has selected and designed a specific series of 12 postures called the Bagua Energy Posture Series.™ This series is designed to open up your body and its energy channels in a very systematic way to prepare you for the Bagua Single Palm Change. 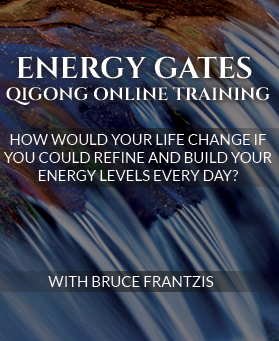 These are taught in the Energy Arts Bagua Mastery Program. The next stage of learning bagua zhang is based on a meditation method that existed within Taoist monasteries thousands of years ago: the Bagua Single Palm Change, which represents the first trigram of the I Ching, known as “heaven” (or chien in Chinese). The Bagua Single Palm Change, or Bagua Heaven Palm, signifies the essence of yang energy as the prime chi-generation method of bagua. Once you learn the Bagua Zhang Single Palm Change, you practice with the aim to open up your body over time so that it rotates more and more into the center of your circle. This inward rotation increases the effectiveness and power generated during bagua zhang practice. However, this process of rotating your body to the center in bagua zhang is gradual and takes time–it must be done slowly and with precise bio-mechanical alignments to prevent strain and injury. In the monastic tradition, the entire Taoist meditation process can be realized through practice of the Bagua Single Palm Change. The next palm change is the Bagua Double Palm Change, which represents the second trigram of the I Ching, known as “earth” (or kun in Chinese). It signifies the essence of yin energy as the prime yin or soft power generation method of bagua. It focuses on using the two palms together, coordinating them until they are as one, and moving and changing the quality of energy between them with fluidity and power. Beyond the first two palm changes, you expand to the remaining Bagua Eight Mother Palms where each palm represents the energy, characteristics, strategies and subtle qualities of each of the eight trigrams of the I Ching. In some bagua systems, rather than focusing on the energies of the I Ching itself, they focus on the qualities of the animals associated with each of the trigrams. There are also 64 techniques where each palm change attempts to represent the multitude of the qualities of the I Ching’s 64 hexagrams. Although many students like to learn lots of techniques or postures, developing the Single Palm Change to a high level often yields the deepest, most internal results. The most advanced work of bagua zhang is taught by direct mind-to-mind transmissions. Although few modern-day teachers have the ability to teach in this way, the energetic and spiritual qualities of bagua zhang, tai chi and the higher esoteric traditions have always passed non-verbally between teachers and their students to the next generation. The bagua zhang teacher—in what could be called telepathy—transmits what he knows from his own heart and being to the heart and being of the student. The purpose is to energetically and directly communicate the reality of what is being taught in bagua zhang (or other internal arts) in a totally non-verbal fashion rather than only hinting at it in words or showing the outer surface of physical movement. Historically, the higher level chi (qi) arts were taught one-on-one, or in small groups after disciples had trained and prepared sufficiently to absorb and embody the knowledge relatively seamlessly. This is partially because, at the advanced levels of learning, disciples and lineage holders teach these practices and impart their knowledge by direct transmission of energy.